Want to increase the size of your Facebook community? 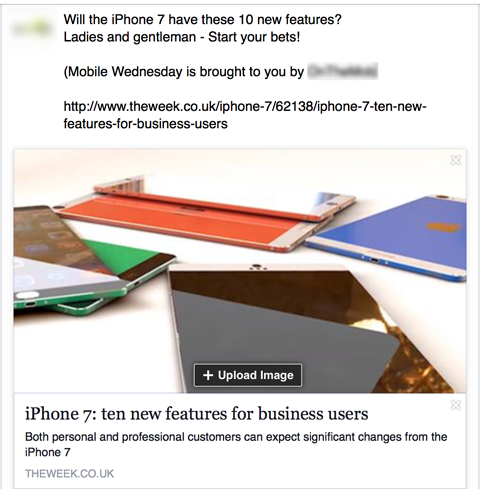 Want to avoid costly Facebook ads? When you develop relationships with others in your niche and experts, your Facebook page can easily grow without advertising. In this article you’ll discover three ways to grow your Facebook fan base without ads. Curating content for other pages is a great way to network with other people in your industry, while increasing your own visibility and reach. Choose 5 to 10 successful Facebook pages run by companies offering services complementary to yours, since they share your target audience. Your expertise will offer real value to their fans. Then offer to curate content for them once a week in return for credit on their page. For example, the CEO of a company was a speaker at a marketing and advertising course, which spent a lot of money promoting its own Facebook page. Every week on “Mobile Wednesday,” this CEO would be the guest curator on the course’s page, and share interesting articles on the topic. At the end of each update there was a shout-out: “Posts today are curated by OnTheMob.” They also included a link to the company’s Facebook page. The result of this simple technique was a few thousand new Facebook likes a month. Curate content for similar pages to get noticed by their fans. To get started, simply send each of your targeted Facebook pages a message offering to curate content under a specific category for them once a week. You can even do this once or twice a month. However, the more exposure, the quicker the results. The pages you approach should appreciate the opportunity to mix up their content and take some of the pressure off from posting. Remember, the pages you reach out to need to be complementary, not competition. Any direct competitors likely won’t allow you to use their Facebook page to promote yourself. Search for and list about 30 to 40 Facebook pages for products, services or communities that are complementary to yours. As above, these complementary pages likely share your target audience and have roughly the same number of fans. Here’s the Excel spreadsheet template I use to track partnerships. Make a list of Facebook pages that share your target audience. Track responses on a spreadsheet. Once you have a good list, send each page a message, explaining a bit about yourself and your Facebook status (such as page likes and engagement). Offer to mention their Facebook page to your fans on a Facebook update if they mention yours in return. Here is a sample intro message to adapt for your promotional outreach. My name is (your name) and I’m (name of brand)’s Facebook page manager. I’d love for you to consider a promotional partnership with our page. I think we can both benefit. Our company’s Facebook page targets mostly (target audience including: gender, age, occupation, interest), and we post mostly content about (type of content you post). We have (number of fans) with decent engagement rates. You can check our page out here (URL of your Facebook page). It looks like we target a similar audience with different products. Would you consider doing a promo swap between our pages? You would mention us to your fans and we’ll mention you. That way we can both get some fresh likes from real people in our target audience. Please let me know if this seems interesting to you. Send me a message so we can clarify the rest of the details. Once you reach an agreement, share your cross-promotional posts. Track results so you know which partners are good to work with in the future. I first heard about this technique from Neil Patel on a content hackathon. He praised this technique as the one he used to grow his Facebook page for his new experiment, Nutritious Living. Using this concept, pages have received great initial results: 1,200 new likes in less than two weeks. Note: For this concept to work, it’s good to start with 3,000 to 4,000 likes on your Facebook page. If your page is still light on fans, you may want to reach out to your email list or consider doing an inexpensive Facebook advertising campaign to increase your facebook fan base. 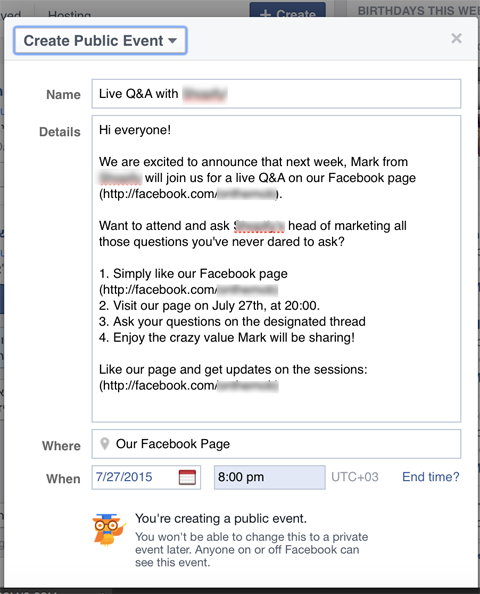 Once Facebook introduced the Reply option, conducting a Q&A became a little more interesting. Invite different experts in your field to answer questions on your Facebook page and rally users to show up and ask questions in real time. 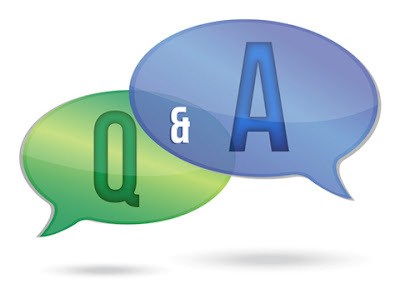 Fans can ask questions and interviewees can respond inline, making the Q&A easy to follow. The get the most traction for an expert interview, don’t rely solely on promoting it through status updates, although you should do that too. Create a Facebook event. It’s easier and more natural for Facebook users to share and invite friends to an event they find exciting or interesting. First, send out a request to an expert or a celebrity in your field. Ask if he or she is interested in participating in a Facebook Q&A on your page. Here’s a sample letter to adapt for your Q&A requests. I’m a huge fan of (blog). I really enjoyed your article about (article topic + link). I especially liked your thoughts on (narrow topic). I’m (name of your company)’s head of marketing, and as a part of that, I run all of the company’s content marketing and social media efforts. As part of our Facebook strategy, we host one industry expert a month for a live Q and A at a specific time and date on our Facebook page. Our fans can participate in the event and ask their favorite experts questions to learn how to be better at what they do. I’m reaching out to you because I would love to have you on our Facebook Q and A session next month. There are no preparations needed on your part, and although you’re welcome to share the event, we’ll do most of the promotion. You simply need to show up on the set date and time and answer questions for 45 minutes. I know you’re very busy, but we’d love it if you can make time for a quick Q and A. Once you have your guest secured, create an event and start promoting it to your fans. As part of the invite, ask people to like your Facebook page and share the event. Create a public event for your expert interview. Announce the event on your Facebook page. Include a link and pin it to top of your page. For extra impact, update your page’s cover photo with a graphic of your guest and event details. Promote the event on Facebook and other social networks, send it to your email list and promote it through relevant Facebook groups. Unless it’s your own Facebook group, check the guidelines or ask permission before posting. While there’s no one magic way to increase the number of organic likes to your Facebook page, there are plenty of tactics you can try to grow your audience. Just have patience and apply these techniques to your Facebook marketing plan. The fans will follow. Roy Povarchik - Author - Thanks for this great article!